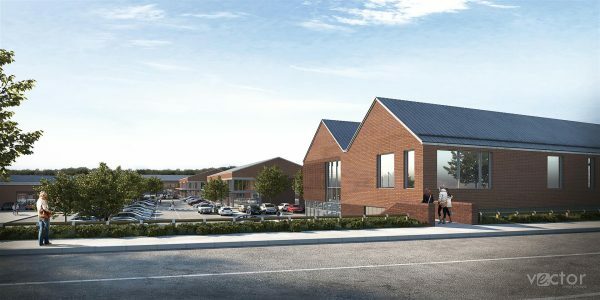 DeVeer Estates, the commercial arm of home builder Berkeley DeVeer’s, has submitted plans for a major new District Centre at City Fields, Wakefield, with The Harris Partnership leading the design team. The 110,000 sq ft City Fields District Centre will occupy a prime site of around seven acres close to Pinderfields Hospital and deliver new retail, leisure, health and community facilities for the residents of the local area and the City as a whole. The District Centre will form a new hub to serve existing and new communities and will be based around a supermarket, family pub, children’s nursery, gym and other neighbourhood retail and leisure uses. This major mixed use scheme sits at the heart of what will be a new community to the East of Wakefield city centre. When complete, City Fields will provide over 2,500 homes, a new primary school, parkland and other public realm connected via the new Wakefield East Relief Road. City Fields District Centre forms part of an initial £50m plus pipeline of commercial projects for DeVeer Estates, with two further schemes expected to come forward for planning in Yorkshire during 2019. A decision on the planning application is anticipated in the spring.